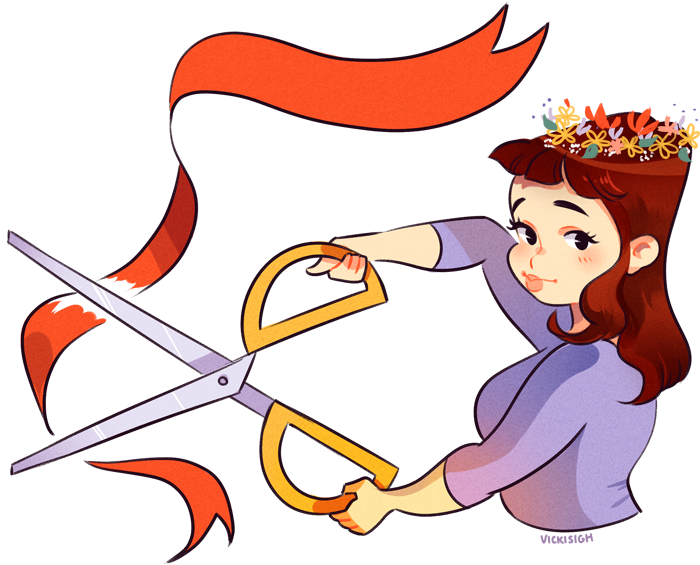 Our third and final exclusive cover reveal series concludes this week as I’m thrilled to welcome Rebecca Ross to Pop! Goes The Reader today as we reveal the stunning cover for her sophomore novel, The Queen’s Resistance! Coming to a bookstore and library near you March 5th 2019 from HarperTeen, The Queen’s Resistance is a sequel to Rebecca’s 2018 debut, The Queen’s Rising, and continues to follow the story of Brienna as she attempts to explore and balance her new relationships and roles as as the daughter of Davin MacQuinn and confidant of Queen Isolde Kavanagh, all while continuing to do her best to serve her country. The cover of The Queen’s Resistance was designed by Aurora Parlagreco, with the accompanying jacket image by Jonathan Barkat and jacket illustration by Virginia Allyn. 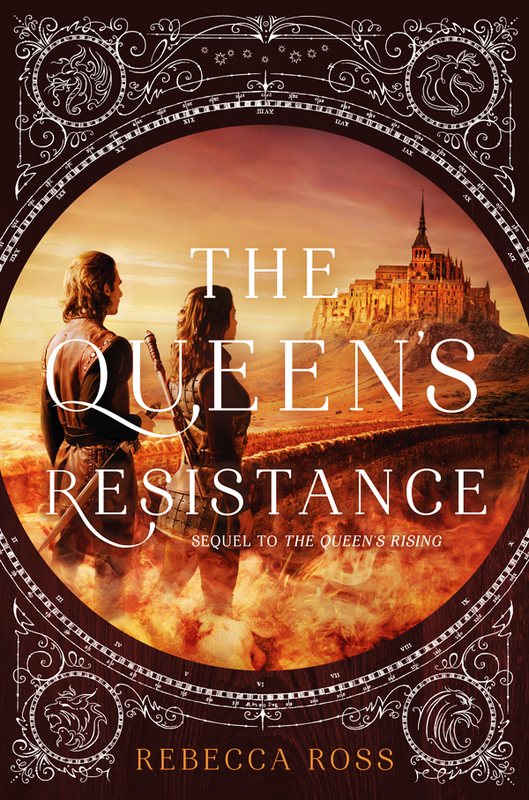 Please read on to learn more about The Queen’s Resistance, including a note from the author and an opportunity for one lucky reader to win a signed hardcover edition of the novel! Rebecca Ross was born and raised in Georgia, where she continues to reside with her husband, her lively Australian Shepherd, and her endless piles of books. She loves coffee, the night sky, chalk art, maps, the mountains, and growing wildflowers in her yard. And a good story, of course. The Queen’s Rising was published February 6, 2018 from HarperTeen and was her debut. Second books are hard. It’s easy to tell yourself that since you wrote and published the first book, you know how to write a second one. Well, I swiftly learned that sophomore books have a mind of their own – they are unpredictable and temperamental, and so it’s best to not write them logically but write them with your heart. The Queen’s Resistance was such a book. In 2015, I sold my debut, The Queen’s Rising, plus two other books to HarperCollins, and my intention was to write two companion novels. In my mind, Brienna’s story was a standalone, but I also knew I had created a world that I wanted to continue exploring. While I was waiting for my edit letter, I began to draft my second book. Same world, new heroine. I wrote it, uncertain about it, and ended up hating it. I scrapped the entire thing and re-wrote it. And again, I felt that something was off. Where was the spark? What was this book lacking? Why was I hating everything I wrote? I knew this was not supposed to be my second book, and yet I needed to deliver something to my editor. But I also knew that I was not going to publish a book I did not love. At the end of February 2017, I was sitting on my back porch, throwing the Frisbee to my dog, deep in my Book 2 woes. I had my journal on my lap, hoping to write some fresh ideas down. And so I was sitting there when I thought, well, what if I continued Brienna’s story? What if I wrote Book 2 as a sequel? I had never allowed myself to entertain this thought. For so long, I had assumed my debut was a standalone. But I opened my journal and I wrote a line down in Brienna’s voice, picking up right where The Queen’s Rising ended. And then that one line became two, and then three, and before I knew it, the scene was rapidly unfolding before me. I was so excited that I ran inside, opened my laptop, and began to type. What surprised me the most, perhaps, was realizing that this story was not just Brienna’s but also Cartier’s. I drafted this book in 24 days, and not once did I doubt it. It was always supposed to be my second book, I simply had to look deeper within myself to draw it forward to the page. The Queen’s Resistance is a dual narrative about family, restoration, and justice – it is the book of my heart – and I am so honored to finally be able to share this beautiful cover with you! At long last, Brienna is a mistress of knowledge and is beginning to settle into her role as the daughter of Davin MacQuinn, a disgraced lord who returned to Maevana to reclaim his house. Though she’d just survived a revolution, one that will finally return a queen to the throne, she faces yet another challenge: proving herself trustworthy to the MacQuinns. 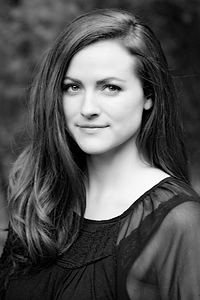 But as Queen Isolde Kavanagh’s closest confidant, she’ll have to balance serving her father’s house as well as her country. And then there’s Cartier, a wholly separate but desirable factor in her new life. Aodhan Morgane, formerly known as Cartier Évariste, is adjusting to the stark contrast between his pre-rebellion life in Valenia as a master of knowledge and his current one as the lord of a fallen house. During the castle’s restoration, he discovers a young boy named Tomas, whose past and parentage are a complete mystery. So when Cartier’s former pupil Brienna is as taken with Tomas as he is, he lets his mind wander — what if he doesn’t have to raise him or his house alone? As the Lannon trial swiftly approaches, Brienna and Cartier must put their love aside and stay focused on the most vital task at hand — forging alliances, executing justice and ensuring that no man, woman or child halts the queen’s coronation. But resistance is rumbling in the old regime’s supporters, who are desperate to find a weakness in the rebels’ forces. And what makes one more vulnerable than deep-seated love? 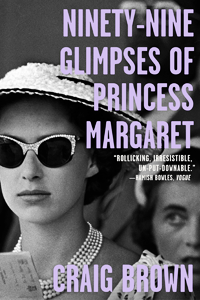 In this follow-up to The Queen’s Rising, Rebecca Ross weaves political intrigue, complicated relationships and love to create a story that readers won’t be able to put down. 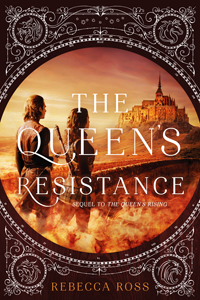 As an extra, exciting bonus, Rebecca has been kind enough to offer one lucky reader the opportunity to win a signed, hardcover copy of The Queen’s Resistance! One winner will be chosen at random at the conclusion of the giveaway and the prize will be distributed by Rebecca when hardcovers become available. Please fill out the Rafflecopter form below to enter! Ahhhh! Super excited for this book! Love Brienna so much. The Queen’s Rising has been my #1 read of 2018 since I read it. So far, no other book has taken it’s place yet. OMG this is going to be I cannot wait for this I am so excited for it, reading not just Brenna but also Cartier as well and this mysterious boy and forbidden love, Love it. And the cover is beautiful and I though the first cover was beautiful. I am SO excited for this sequel!! The first book came out of nowhere and stole my heart. It was such a refreshing entry into the YA genre. Eagerly awaiting the next book!